At the Workshop on Evolutionary Algorithms, organized by the Institute for Mathematics and Its Applications, University of Minnesota, Minneapolis, Minnesota, October 21 – 25, 1996, one of the invited speakers, Dave Davis made an interesting claim. As the most recognised practitioner of Evolutionary Algorithms at that time he said that all theoretical results in the area of Evolutionary Algorithms were of no use to him – actually, his claim was a bit stronger. He said that if a theoretical result indicated that, say, the best value of some parameter was such-and-such, he would never use the recommended value in any real-world implementation of an evolutionary algorithm! Clearly, there was – in his opinion – a significant gap between theory and practice of Evolutionary Algorithms. Fifteen years later, it is worthwhile revisiting this claim and to answer some questions; these include: What are the practical contributions coming from the theory of Evolutionary Algorithms? Did we manage to close the gap between the theory and practice? How do Evolutionary Algorithms compare with Operation Research methods in real-world applications? 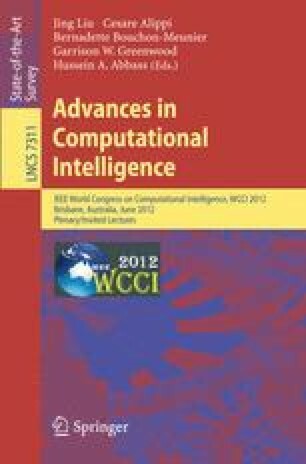 Why do so few papers on Evolutionary Algorithms describe real-world applications? For what type of problems are Evolutionary Algorithms “the best” method? In this article, I’ll attempt to answer these questions – or at least to provide my personal perspective on these issues.